Army Says It Will Review Cases Of Dismissed Soldiers With Mental Health Problems : The Two-Way The Army says it will conduct a "thorough, multidisciplinary review" to determine whether thousands of combat soldiers with those issues or TBIs have been unfairly kicked out of the Army. 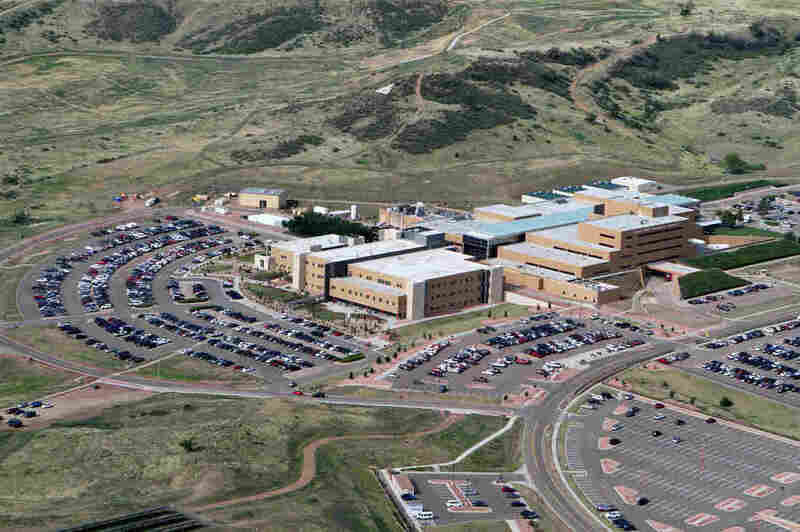 Evans Army Community Hospital, which stands on the Fort Carson military base, is a central part of the base's behavioral health system. His promise — in a letter to members of the U.S. Senate dated Nov. 30 but released Thursday — comes after NPR and Colorado Public Radio reported that commanders have dismissed more than 22,000 troubled combat troops since 2009 instead of helping them. The week after our story ran, a dozen U.S. senators wrote a letter to the Army demanding a full investigation. The written response from Fanning declares: "The decision to separate a Soldier from the Army for any reason is not an easy one. ... I appreciate the concerns you raised in your letter and take them very seriously." Fanning says the Army will assemble "a team of senior Army leaders," including its inspector general as the senators requested. "We will follow up with you upon conclusion of this review," Fanning writes. The letter does not set a deadline. A statement released by Chris Murphy, D-Conn., one of the senators who drafted the letter demanding an investigation, says he applauded the Army's announcement. "I'm relieved that the U.S. Army is conducting a thorough investigation into what may have gone wrong, and remain optimistic that they will fix their mistakes," Murphy says. But Andrew Pogany, a soldiers' rights advocate whose own investigation helped trigger this chain of events, called Fanning's letter "a joke, platitudes and fluff without any substance. The Army has proved over and over again that it cannot be trusted to investigate itself." Pogany, co-founder of Uniformed Services Justice and Advocacy Group, which gives soldiers free legal services, obtained more than 20 hours of recordings last year that a soldier made secretly of his meetings with officers and therapists at Fort Carson, Colo.
Pogany sent excerpts of those recordings to an adviser to the general who runs the Army's medical system. After the adviser warned that the excerpts demonstrated "unprofessionalism, hostility, and lack of empathy" and "potential for negligence leading to significant potential harm," the general ordered an investigation of whether officers at Fort Carson had mistreated that soldier and others. 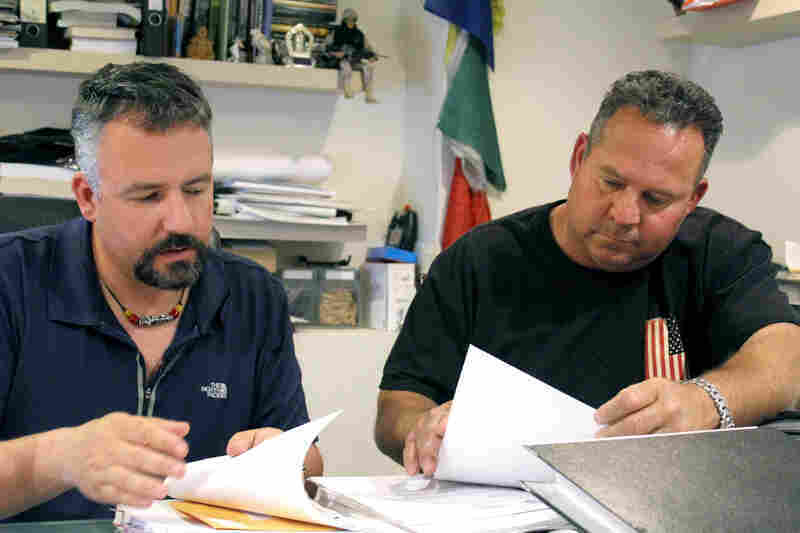 The Army concluded that there was no evidence of "systemic" problems at Fort Carson — yet the investigation by NPR and CPR found that Army officials never interviewed any of the other soldiers Pogany identified. "We likely will never learn what is really happening inside the Army unless there is an independent investigation," Pogany says. In the letter, Fanning writes: "We strive to have a process that is fair, objective and deliberate, and that ensures due process and the maintenance of good order and discipline within the ranks."